So, I’ve been running around in a couple boats over the last few years down here in Florida but none of them has ever been really perfect for what I have wanted to do, which is a bit of offshore fishing and a bit of inshore fishing. There really is no “perfect” boat but it seems like many of the dual purpose boats are really not great at either. Enter the Panga Boat. 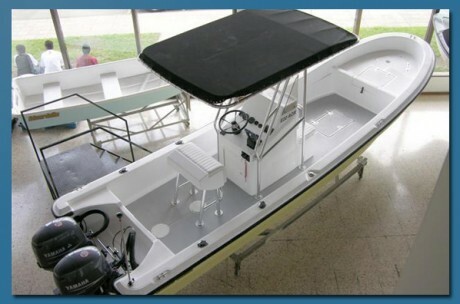 It was designed by Yamaha decades ago to be a very light and agile boat that has a shallow draft yet very capable offshore. There’s a video of a 25 foot boat in 6′ waves. This is driven by a tiller engine (hand control) from the back of the boat. Amazing. AND, it will float in 6 in of water. Now as you get more equipment and gear on them, they will weigh down but the whole purpose is to keep them light, so you can load them up with massive amounts of fish you catch. I’d love to get one of these if I can find a reasonable priced Panga for sale with a pair of Yamaha’s on the back so I can start venturing offshore more.